Dear Customers: We are no longer taking orders at this time. What is a Beer Passport? Our Beer Passport is a pocket sized book with a page for every brewery and taproom in your state. It’s used for discovering new locations, taking detailed notes, rating your experience and collecting memories from each of your taproom visits. ORDER A CRAFT BEER GUIDE NOW! ALL TRADEMARKS, PRODUCT NAMES AND LOGOS ARE THE PROPERTY OF THEIR RESPECTIVE OWNERS. UNLESS OTHERWISE STATED, BEER PASSPORTS AND THE BREWERIES HAVE NO IMPLIED RELATIONSHIP OR PARTNERSHIP. Beer Passports independently endorses all of the breweries within. Watch 30 second video to learn more about our book. The book is stuffed with craft beer locations where you can visit and taste quality artisan beer. Think of it as a craft beer treasure map and get more out of Craft Beer! Take notes about what it was you liked (or didn’t like) about a specific beer or brewery. There’s nothing worse than forgetting what brand or flavor it was that you loved about your last trip to the brewery. Document your experience and get more out of Craft Beer! Take pride in the places that you have visited. Show your friends all of the cool places you have gone. Collect stamps, stickers or even the brewer’s autograph in your Beer Passport for lasting memories. Prove that you have been there, done that and get more out of Craft Beer! The book is a binder so new breweries can be added painlessly. Simply register for updates and we will email the new locations every month. Better yet, join the Tribe and we will mail you hard copy pages so you can get more out of Craft Beer! Minnesota, Florida, Iowa, North & South Dakota, Wisconsin, Nebraska and Michigan. Coming Soon: Illinois, North Carolina, Colorado, California, Washington, Oregon and more! Style and functionality – combined. Our Craft Beer Passport & Taproom Guide is not only functional, it’s beautiful. 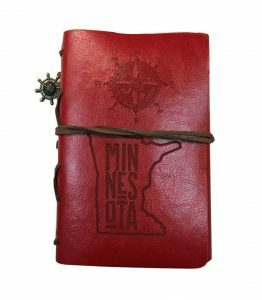 Made from high quality leather and expert stitching so you will be proud to show it off to your fellow beer drinkers. If personalizing is something that is important to you then you will love that the leather is available in 5 colors. We can even custom laser engrave any design or message you want so you can get more out of Craft Beer! It’s all about the experience – your experience. This Craft Beer Passport and Taproom Guide will give you a whole new perspective on the art of craft beer and micro brew taprooms. We’ll help you navigate to new beer experiences where you can gather with fellow craft beer lovers but the experience is entirely yours! You know what you like, write it down. Make it personal and get more out of Craft Beer! Which Craft Beer Drinker are you? This person knows beer. They enjoy sampling different kinds of beer. The Beer Passport will help the Beer Enthusiast keep track of their sampling expedition at each location they visit. This person is just getting started. They went to a brewery or two and are now looking forward to their next adventure. 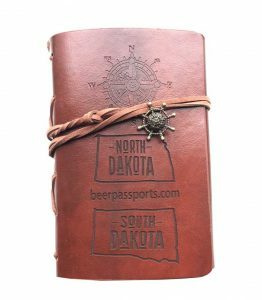 The Beer Passport will help them discover places all around the state! This person enjoys craft beer but is not crazy about it like their SO. They do, however, really enjoy seeing new people and places. Most of all, they love spending time with their best friends. The Beer Passport makes it fun to have a place to collect stamps and stickers. The person is a sum of the whole. The club makes plans weeks ahead and they all meet up together. They use their matching Beer Passports as a sign of fellowship. They compare notes about the beer and the taproom. This person loves their craft beer. They are also very proud of how many breweries that they have been to and want everyone to know it. Their Beer Passport has “battle scars”, stamps, stickers, brewers signatures and other creative inventions they have found along the way to document their experiences. Although this person does enjoy their craft beer, they enjoy being the person that always comes up with the perfect gift. Beer Passports make great presents for Mother’s Day, Father’s Day, Birthdays, Christmas and even Wedding gifts! Got this as a Christmas gift and I love it! Super fast shipping and great customer service! Can’t wait to collect them all! Finally- the perfect gift to give to those men in my life that “Never want anything”! Bought this for my brother and sister-in-law who are avid beer drinkers. They LOVE it! Highly recommend! Fast shipping and excellent customer service. Carry your Craft Beer Passport & Taproom Guide with you every time you make a trip to a brewery. Reference your past experiences and share them with the taproom staff. It will help to pinpoint what it is that you like about beer. Everything you need to remember is right there on each specific taproom page. Rate it compared to others you’ve been to. Rate the beer by quality, freshness and how much you enjoyed it. You do not need to be a beer expert to know what you like. Document it! Interested in carrying our books in your Swag Shop? We offer wholesale pricing and can brand the Craft Beer Passport & Taproom guide with your logo.